We love motorcycles and motorcycles riders all over the world! Hijack dainese Diesel avation Helmet with Bag-Sack Drawstring (rear). Condition is Used but perfect only worn once or twice. Dispatched with Royal Mail 2nd Class or collection. 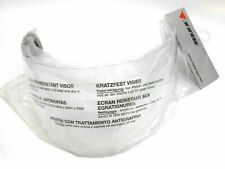 Dainese Airstream Visor Helmet Replacement Anti-Fog Anti-Scratch Visor. 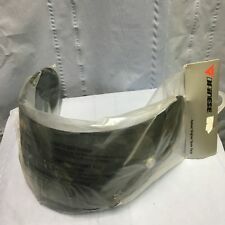 Part# 1855673-65-N Dainese genuine I also have this in clear. Please message me if you would like a clear one. Ships fast and free. Please contact me with any questions. Thank you and have a great ride. 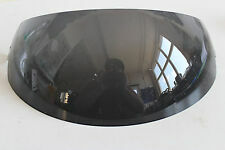 DAINESE VISIERA ERGON EVO 1 CHIARA VISOR SHIELD 1855588 New I also have this in clear. Ships fast and free. VISOR CLEAR TRANSPARENT VISOR 1 EVO EVO 2 DAINESE ERGON ORIGINAL APPROVED. COLOR: TRANSPARENT. or write us to whatsapp for more information and more, free service. Colore Trasparente. Caratteristiche Antinebbia.